This hymn was written to be sung at the dedication of a church. It must have been used in this way for thousands of such dedications and as we sing it is a strong link to the faith and sacrifice of those dedicated Christians in past centuries who have left us such a rich heritage of church buildings. The imagery in the nine verses of the original is taken from the story of Solomon’s building of the Temple and also from the First Epistle of St Peter where Christians are spoken of as living stones that are being built into Christ’s Church. We also move to the thought of the final song of the heavenly Jerusalem, where no church building is needed since all is filled with the presence of God. John Mason Neale was a priest of the Church of England who produced an extraordinary volume of work in his short life, including many of the best translations of Latin hymns in common use. The tune was written to be sung to repeated ‘Alleluias’ at the end of Henry Purcell’s anthem ‘O God, Thou are my God’. 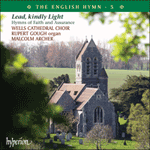 It was adapted as a hymn tune in 1842 by Ernest Hawkins, a Canon of Westminster Abbey where Purcell had been organist. It did not become popular however until it was sung at Princess Margaret’s wedding in the Abbey in 1960, where it made a thrilling sound in that great space and endeared itself to many.